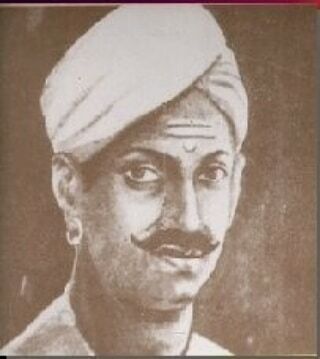 · Mangal Pandey was born in a Hindu Brahmin family in Uttar Pradesh on 19 july 1827. · He Joined the East India Company's army in 1849 at the age of 22. · Mangal Pandey is famous in Indian history as a freedom fighter who gave his life to free the country from the British Raj. · He Played a key role in the revolt of 1857 also known has Sepoy mutiny of 1857. · He Started the revolt in Barrackpore near Kolkata on March 29, 1857 by attacking his British Sergant. He was arrested by the other sepoys. 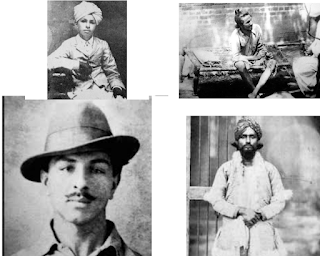 · Mangal Pandey was a diligent follower of hinduism. The reason behind the outburst of his anger was a cartridge of rifle (Enfield P-53 rifle). · There was rumour that the cartridge was greased with fat of cow and pig ( In hindu religion the meat of cow in prohibited). · Mangal Pandey was hanged till death on April 8, 1857. He is also remembered as a first martyr of indian freedom movement. · The Mangal Pandey cenotaph on Surendranath Banerjee road at Barrackpote Cantonment,West Bengal.